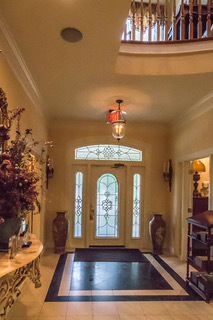 Walking into The Sanford House is like stepping into the home of your favorite aunt. You’re immediately enveloped in an atmosphere of welcoming warmth that holds just a hint of excitement for what you are about to experience. You quickly understand why people in Arlington don’t feel the need to travel to Fort Worth or Dallas for a fine dining experience. 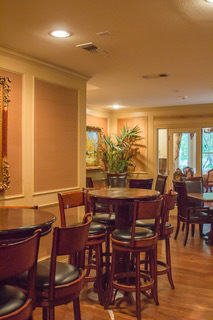 They can enjoy excellently prepared American cuisine in an atmosphere that is the perfect blend of sophistication and relaxation without battling metroplex traffic. By the end of your meal you will also know why Restaurant506 continues to receive dining awards. While the entire staff is honored you are their guest, the greatest contribution to Restaurant506’s success comes from Chef John Klein and his culinary team members. Each is a master in his or her own right with an exceed-expectations attitude. They prepare meals that stimulate your taste buds and please your vision. Order the East Coast Lobster Bisque, which comes with a shrimp fritter and dill sauce, and you’ll find yourself smiling as it is poured into your bowl at your table. If you have no dietary limitations, the Herbes de Provence Crusted Lamb Loin served with charred tomatoes, fingerling potatoes, and a mint and pea puree is not to be overlooked. If you do have dietary issues, simply mention this to your server and Chef Klein’s team will prepare a meal specifically for you. In addition to offering lunch, dinner, and a Pre-Theater menu, Restaurant506 offers an award-winning weekend brunch. The French506, a blend of pineapple infused vodka with citrus juices topped with champagne, is an excellent way to begin your meal. As you sip your drink, order your meal from a menu of uniquely-prepared standard breakfast foods or venture to more exotic choices like the 506 Kobe Brunch Burger or Chili Glazed Pork Belly Benedict. If Shrimp & Grits is the daily special, order it! White cheddar cheese helps to make the grits delectable and creamy. The flavorful shrimp don’t get overpowered by the grits or the sauce that is lightly added to the dish. The Breakfast Tower, a montage of pancakes, sausage, bacon, and eggs, easily challenges the heartiest of appetites. 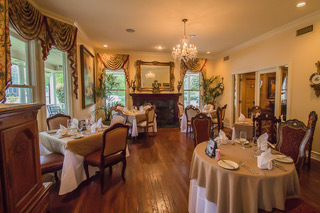 Free parking is available at The Sanford House and at its spa, which is across the street from the manor house. 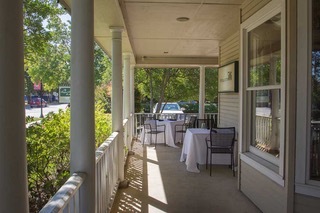 Reservations for dinner and for parties of six or more can be made by calling the restaurant at 817-861-2129 or through Open Table on the restaurant’s website. The restaurant is currently closed on Mondays and Tuesdays.